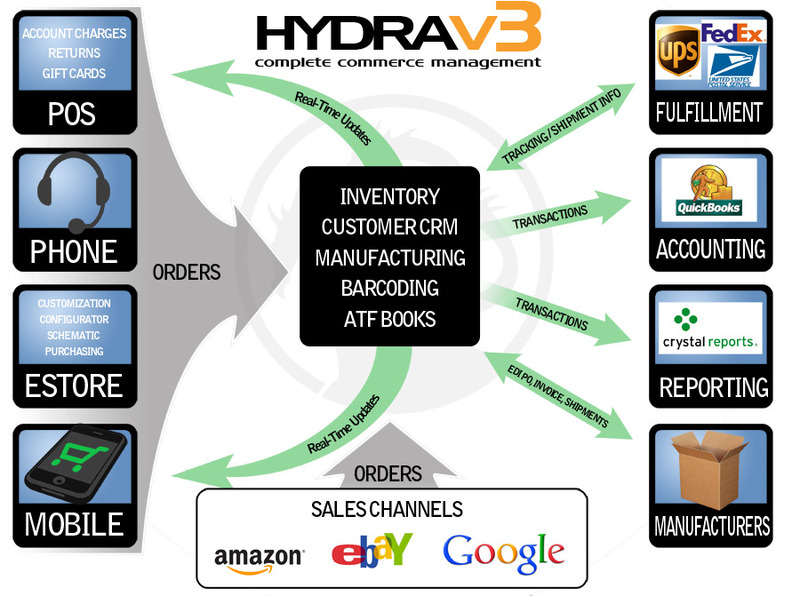 HYDRA Complete Commerce Management (CCM) is a software package that allows business to sell products online, through retail locations, and through phone based ordering. HYDRA allows businesses to save time by maintaining a single point of entry for all customer, item, and sales data. HYDRA integrates with all of the major shipping carriers to allow business to efficiently ship orders. How can HYDRA help my business? HYDRA makes it possible for companies to achieve the efficient and optimum results through the entire sales cycle. 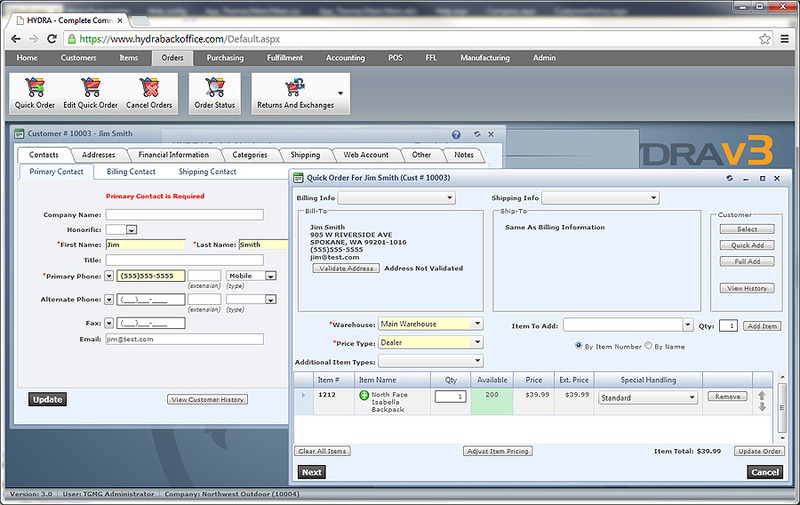 This is done by eliminating duplicate tasks, improving order efficiency, and providing tools to increase sales. Users can access HYDRA's features from any location with internet access. This structure allows users to setup a complete ecommerce and inventory management solution with no hardware investment or site maintenance costs. Utilizing this structure allows HYDRA to provide its users with an unparalleled level of functionality at a significant savings. HYDRA features integrated POS (point of sale) terminals that allow users to process quick retail type transactions. Users can accept cash, check, or credit card payments using HYDRA's low cost touchscreen terminals, are designed for fast for over-the-counter sales. To find out more information on how HYDRA can help you improve your business process, reduce costs, and simplify tasks, click on the Product Overview link below. Windows type user interface makes complex tasks quick and easy!